The Texas A&M University J. Mike Walker '66 Department of Mechanical Engineering's research encompasses a wealth of mechanical engineering disciplines. The department houses both the state-of-the-art turbomachinery and energy systems laboratories. 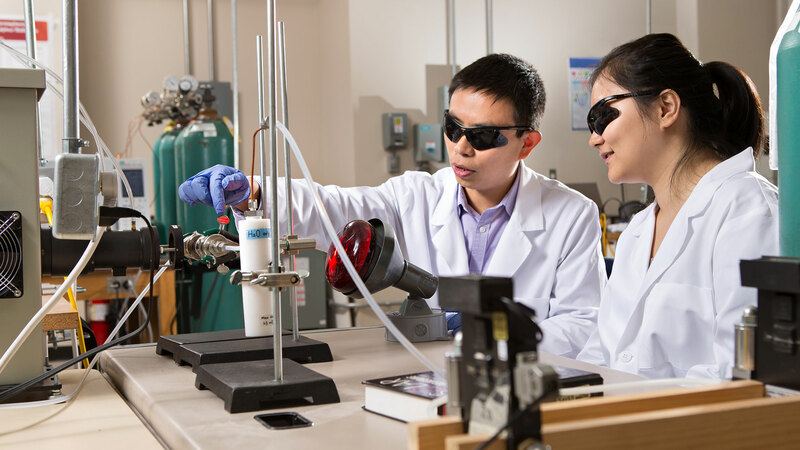 Active research efforts within the department are in the areas of polymers, crystalline materials, heat transfer, fluid mechanics, energy systems, combustion, mechanics, turbomachinery and systems and controls. Federal, state and industrial sources support the department's research. Federal funding sources include National Science Foundation, Department of Energy, NASA, U.S. Nuclear Regulatory Commission, Environmental Protection Agency, Office of Naval Research, U.S. Army, and Air Force Office of Scientific Research. Various industries sponsor our research through turbomachinery and polymers consortiums. The teams of staff and students visit the facility for a single day and compile a report of potential cost-saving measures for the facility. These assessments have helped mid-sized industries stay competitive through reduction of costs. The IAC at Texas A&M University has completed over 650 assessments in 27 years of service to the community. The J. Mike Walker '66 Department of Mechanical Engineering at Texas A&M University currently has 54 faculty members whose expertise contribute greatly to the depth and breadth of the research being conducted in the department. A clustering of their different research areas can be found below. The shared services facilities are available to mechanical engineering faculty and students. Please go to the following link to find more information.